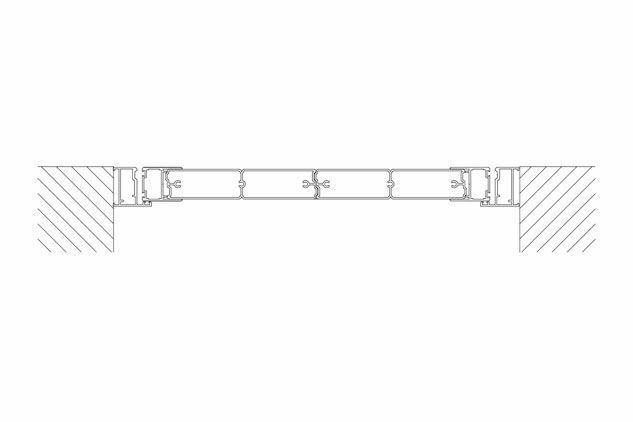 The NAONIS system has a frame with a depth of 36.5 and 70 mm. It is fitted with modular 28 mm thick slats. Models with frame are provided with black silicon gaskets. Frameless models may include a brush. 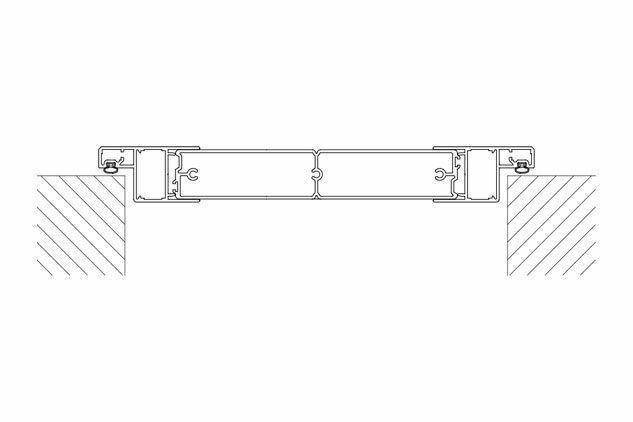 For solid panel shutters, with and without frame, standard fitting include black band hinge. A black hinge is also available for the framed version. 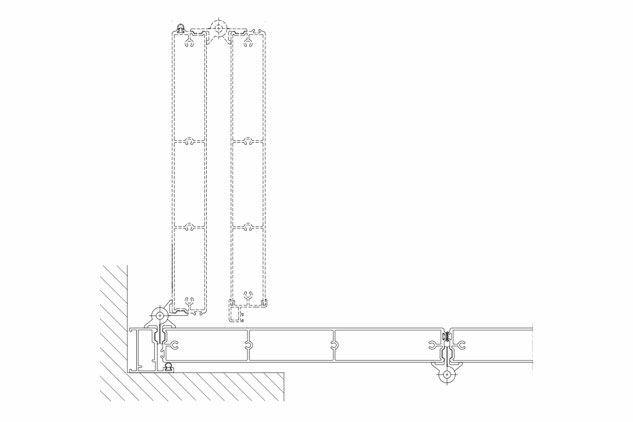 Shutter bar closing system. For the “Padovana” model, standard fittings include a black hinge for the framed version. Provided with black band hinge in the frameless version. 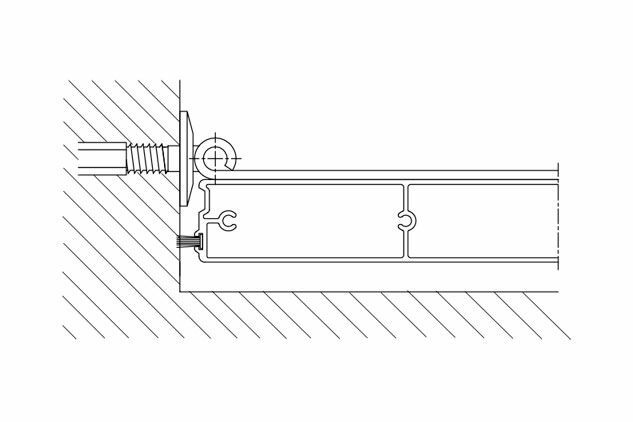 Shutter bar closing system. For the “Vicentina” style with frame, standard fittings include a black hinge and external cremone bolt. For the Vicentina model without frame, standard fittings include black band, hinge on central joint closure with visible cremone bolts and rods. An arched version for the solid panel shutter without frame is available. The aluminium profiles of Piva shutters are coated using the most advanced processes, which ensure maximum resistance to weathering, including RAL colours and the numerous woodgrain effects available in the colour swatch. A pleasant feel and quality materials for maximum resistance to shocks and abrasions are the main features of the Piva coating system, which provides full coating to the profile, for maximum aesthetic performance. Resistance to colour change from light exposure is guaranteed for 5 years. With minimum maintenance and cleaning operations, Piva aluminium shutters guarantee resistance to cracks and flaking for up to 10 years, in compliance with the criteria laid down by Qualicoat standards. The standard shutter comes with an elegant and functional design. 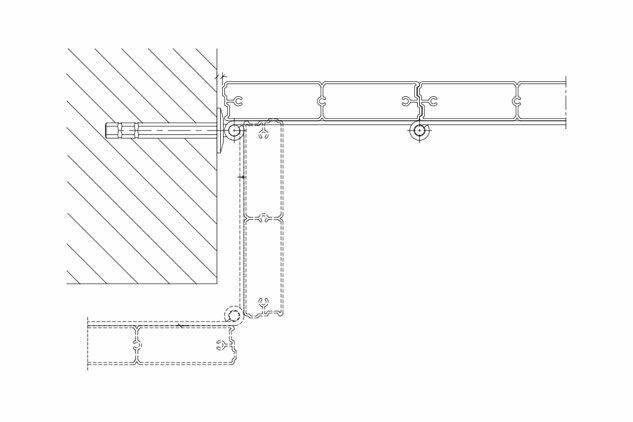 Standard fittings include a black band hinge on both framed and frameless versions. A black hinge is also available for the version with frame. The shutter is fitted with shutter bar closing system. The Vicentina style shutters are installed on the outer side of the wall and fold into 2 modules per shutter on the shoulder of the wall, inwards. For the framed version, standard fittings include a special black hinge and external cremone bolt. For the version without frame, a black band, a hinge on the central joint and locking system with visible cremone bolts and rods are fitted. The Padovana style shutter features a pivoting system on the wall shoulder. 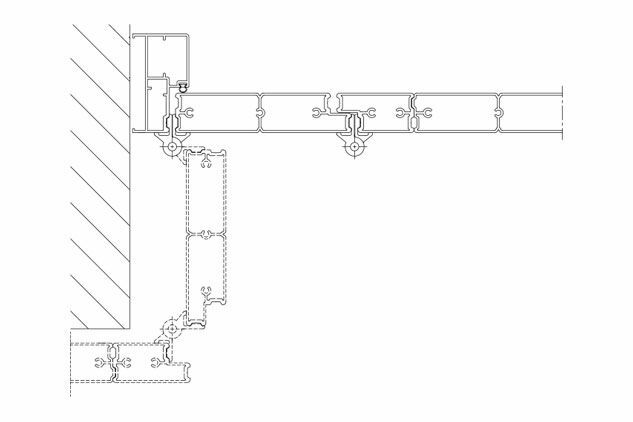 Standard fittings include a black hinge in the framed version. The frameless version is provided with a black band hinge. The shutter is fitted with shutter bar closing system.